There are often discounts obtainable to senior citizen and small youngsters. 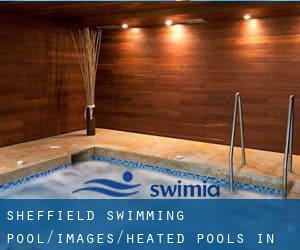 Find out by contacting your nearest pool in Sheffield. 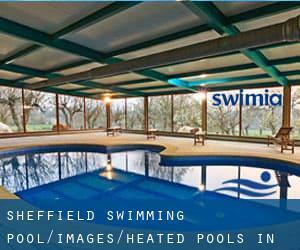 Please check the nearest Heated Pools in Sheffield or Contact us to ADD IT. It is totally free! Regular users told us essentially the most essential thing of swimming is usually to manage your breathing. To obtain this, our head should be aligned with our spine all the time. Swimming is a sport for all ages. It helps young folks to tone their muscles and grow wholesome and strong. Most from the Swimming Pools give both open lanes for independent swimming and also guided activities like water aerobics or aquabike. For Sheffield and its vicinity, we're showing you all of the registered Heated Pools in Sheffield, a few of them have no GPS coordinates and you're not finding them at the map. 1 Archer Road , Millhouses , Sheffield , England , UNITED KINGDOM (Postal Code: S 8 0LB). Among all of the activities offered by the centre, should you be keen on swimming you'll enjoy 25 meters x 10 meters, Indoors. Just in case you need to contact this Swimming Pool prior to dropping by, we only know the phone number. Bochum Parkway , Norton , Sheffield , England , UNITED KINGDOM (Postal Code: S 8 8JR). This sports centre delivers 25 meters x 11 meters, 0.9 meters - 2 meters depth, 0.9 meters - 2 meters depth, Indoors. Contact information for this Swimming Pool including phone number and e-mail address are number. Myrtle Springs School , 524 East Bank Road , Sheffield , England , UNITED KINGDOM (Postal Code: S 2 2AL). This sports centre offers 20 meters x 8 meters, 4 lanes, 0.9 meters - 1.9 meters depth, 0.9 meters - 1.9 meters depth, Indoors. Contact data for this Pool like phone number and e-mail address are number. Northumberland Road , Sheffield , England , UNITED KINGDOM (Postal Code: S10 2TY). This sports centre delivers 33 meters, 6 lanes, Indoors. Contact info for this Swimming Pool such as phone number and email address are number. Broadfield Road , Heeley , Sheffield , England , UNITED KINGDOM (Postal Code: S 8 0XQ). Swimmers like you reported 25 yards, 5 lanes, Indoors. Phone number and email address are number for this Swimming Pool. 300 Broadfield Road , Heeley , Sheffield , England , UNITED KINGDOM (Postal Code: S 8 0XQ). This sports centre gives 25 meters x 10 meters, 5 lanes, 1.2 meters depth, 1.2 meters depth, Indoors. For this Swimming Pool, only phone number is number here. 18 Upperthorpe , Upperthorpe , Sheffield , England , UNITED KINGDOM (Postal Code: S 6 3NA). Among all the activities offered by the centre, when you are thinking about swimming you will enjoy 20 yards, 5 lanes, Indoors. Just in case you wish to get in touch with this Swimming Pool before dropping by, we only know the phone number. Beulah Road , Hillsborough , Sheffield , England , UNITED KINGDOM (Postal Code: S 6 2AN). Few days ago a regular user of this centre told us they offer 21 meters x 21 meters, 6 lanes, 2 meters uniform depth, 2 meters uniform depth, Indoors. Furthermore, they keep in good conditions 21 meters x 11 meters, maximum depth 2 meters, maximum depth 2 meters, Indoors. Contact facts for this Pool such as phone number and email address are number. Updated on 2019 Gosber Street , Eckington , England , UNITED KINGDOM (Postal Code: S21 4DA). This sports centre offers 25 meters x 12 meters, 6 lanes, 1 meters - 3 meters depth, 1 meters - 3 meters depth, Indoors. Contact information for this Swimming Pool including phone number and email address are number. Victoria Quays , Furnival Road , Sheffield , England , UNITED KINGDOM (Postal Code: S 4 7YA). Among all the activities supplied by the centre, if you are interested in swimming you are going to appreciate 21 meters x 10 meters, Indoors. Just in case you want to get in touch with this Swimming Pool before dropping by, we only know the phone number. Shiregreen Lane , Sheffield , England , UNITED KINGDOM (Postal Code: S 5 6AE). Swimmers like you reported 25 meters x 12.5 meters, 6 lanes, 0.9 meters - 1.5 meters depth, 0.9 meters - 1.5 meters depth, Indoors. Phone number and e mail address are number for this Swimming Pool. Sheaf Street , City Centre , Sheffield , England , UNITED KINGDOM (Postal Code: S 1 2PZ). Few days ago a standard user of this centre told us they offer Olympic size x 25 meters, 10 long course lanes, 2 meters - 3 meters depth, 2 meters - 3 meters depth, Non-Chlorine Sanitized, Indoors. Furthermore, they keep in good conditions 25 meters, Indoors. Contact info for this Swimming Pool such as phone number and e-mail address are number.